I’ve been MIA for a good while now, and for that, I am sorry. But I promise, I come bearing explanations and good reasons! My goodness, where to start? I guess the beginning is as good a place as any! For the past year and a half, Cameron and I have been living on site at a ministry in Paris, TX, where Cameron has been working as the Dean of Students for young men who are in the transition stages between rehab and successfully living life on their own. He has played a huge role in the launch and start-up of the ministry from a business standpoint, and in the lives of each of the guys who lived with us. It has been so fun and fulfilling watching him thrive in that environment, getting to do exactly what his heart beats for every day. Several months ago, however, we started feeling a huge weight on our hearts, and began to realize that as much as we believe in the call on the ministry and love and support what it stands for and all that it’s doing, there just wasn’t enough growth and forward momentum for us to fall back on and be able to live and thrive there long-term. So, after a lot (A LOT) of prayer and seeking wise counsel, Cameron made the decision to step down from his position at the ranch in search of something with a little more stability and growth for us and our future family. A few weeks ago, with tons of help from our friends and family, we loaded our lives up in UHaul trailers and headed back to Fort Worth, excited, expectant and hopeful for this next chapter. 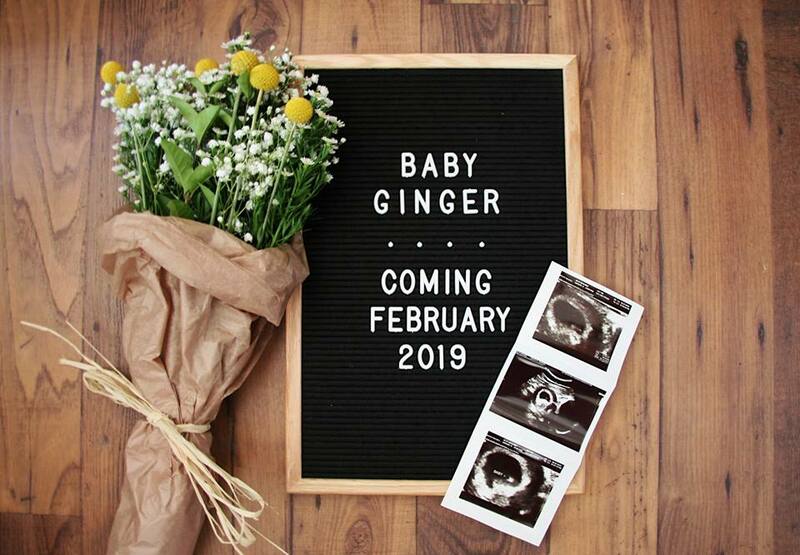 In the middle of that huge transition, (after making the final decision to leave, but before actually moving) we found out that I am pregnant! Words cannot express how excited we are for these new beginnings and our squishy little baby! I will be 13 weeks tomorrow (GOODBYE First Trimester! ), and baby has a strong heartbeat and is already about the size of a lemon! Most days, I’m pretty exhausted and nauseous, yet beyond joyful at the miracle that is happening inside of me. I’m already counting down the days until we get the honor of meeting our little one, and can’t wait to walk through all of the new and fun experiences in this beautiful journey! At the end of July, I headed up to Indiana for ten days to help Cameron’s aunt prepare for her wedding! It was so great being there and helping her get ready for her special day! Their wedding was a beautiful celebration of love, life and happiness filled with and surrounded by all of their closest friends and family. They are both so beyond deserving of everything God has for them and this new life together as husband and wife, and I was blessed to be a part of it! It's been a lot – job transitions, apartment hunting, moving, packing and unpacking, pregnancy symptoms and appointments, traveling. But this whole journey has been an incredible testament to God and His faithful timing, and we could not be more grateful for the promises that He makes and always keeps, as well as the experiences and opportunities we have been blessed with over the last year and a half. As you may have noticed, I’ve intentionally stepped away from social media for a little while, and I’m honestly so glad I did. But I’m back with a clear mind, a little more energy, and a lot of ideas for projects and posts moving forward. I can’t wait to share this new and exciting journey with all of you!